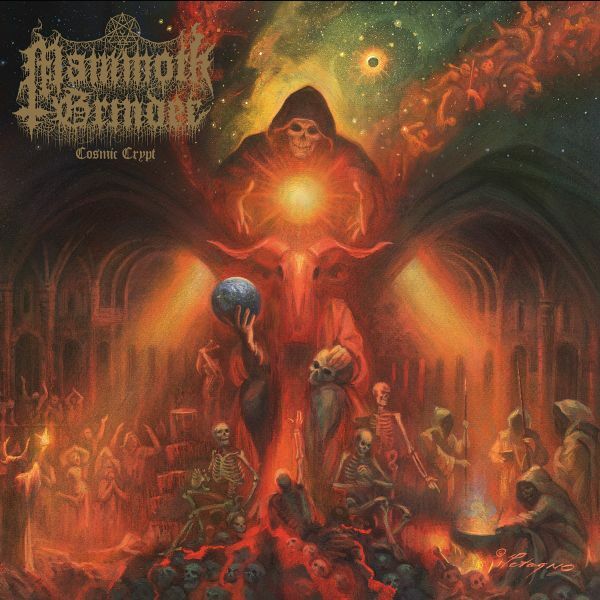 MAMMOTH GRINDER - COSMIC CRYPT (CD US-IMPORT) | Online Shop | Wizard LTD. Album: "COSMIC CRYPT (CD US-IMPORT)"
Underground extreme metal trio MAMMOTH GRINDER return after five long years with their fourth full-length Cosmic Crypt, a non-stop, meteoric force of aggression and mayhem. Self-recorded by the band at Trax East in South River, NJ, mixed by Arthur Rizk (Power Trip, Sepultura, Inquisition) and mastered by Toxic Holocaust’s Joel Grind, Cosmic Crypt is an 11 track slab of primitive, punk-inflected death metal. Frontman Chris Ulsh (Power Trip, Impalers) recruited Mark Bronzino (Iron Reagan) and Ryan Parrish (Iron Reagan, ex-Darkest Hour) to take MAMMOTH GRINDER to new heights of misanthropic rage and blazing songcraft! Features stunning cover art from the legendary Joe Petagno (Motorhead, Autopsy, Angelcorpse, Pink Floyd).